When you ask yourself what the biggest unanswered scientific questions are, “how did sea levels change over the past 100 years?” is unlikely to appear at the top of your list. After all, haven’t we already figured that out? It turns out that obtaining a complete picture of how our oceans have been changing is not a simple task, yet is vital for making future projections. In a paper published in Nature this week, my research group developed a more accurate yardstick for measuring rising sea levels, offering clues to a discrepancy that scientists have grappled with for years and potentially insight into future projections of the rise in sea levels. Sea-level observations over the 20th century come from tide-gauge records, which, in their simplest form, are essentially yardsticks attached to coastlines around the world. The global coverage of these measurements is limited, particularly at the start of the 20th century and in the southern hemisphere. Additionally, even the most complete records can include significant gaps in time. The incompleteness of these records makes obtaining estimates of global mean sea level very difficult. The latest report from the Intergovernmental Panel on Climate Change (IPCC) included two different estimates of the global increase in sea level over the 20th century. The first estimate came from a suite of previously published studies that analyzed the tide-gauge observations directly. The 1901-1990 rate obtained using these approaches falls in the range of 1.5 to 2 millimeters per year. 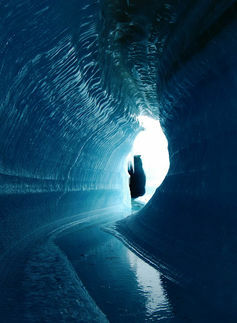 The second estimate was computed by adding estimates from individual sources, such as melting water from ice on land and expansion of the ocean. This “bottom-up” approach produced a lower rate of 1 to 1.2 millimeters per year over the same time period. Explaining the difference between these two different estimates has been a pressing issue within the sea-level community. Most scientists believe the higher estimate derived from tide-gauge records, but they have questioned the lower “bottom-up” estimate. One possible explanation is that estimates of Greenland and Antarctic melting over the century may have been underestimated. Measurements of ice sheet mass balances have traditionally come from ground-based measurements and satellite observations. However, these observations are also very limited. 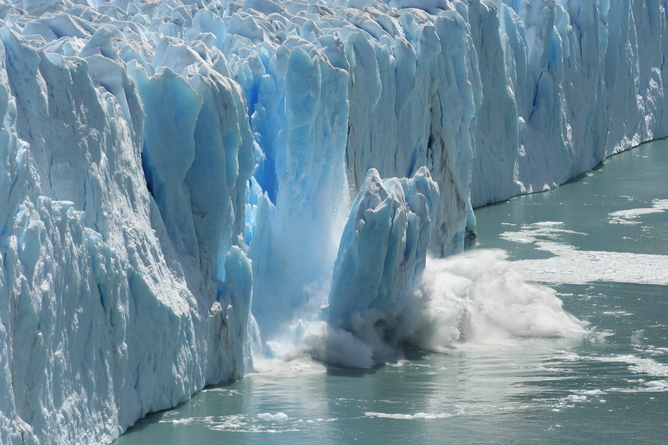 That’s when we started to ask ourselves whether or not it was possible to use sea-level observations to try to estimate how much individual ice sheets and glaciers have been melting. Could we use tide-gauge observations over the 20th century to infer how individual contributions combine to produce the global increase in sea levels? Addressing this question turned out to be much more challenging than any of us initially thought. The physics that allows us to tackle this problem comes down to understanding why sea level at one tide gauge is different than sea level at another. There are a variety of factors that affect local sea level measurements. These include ongoing effects due to the last ice age, heating and expansion of the ocean due to global warming, changes in ocean circulation and present-day melting of land ice. All of these processes produce unique patterns, or “fingerprints,” of sea-level change that we can model and predict. Our goal has been to infer the individual contributions to sea level by looking for these fingerprints in the tide-gauge records. This type of “fingerprinting” analysis had been applied to paleo sea-level records, but no one had attempted to look for these predicted patterns in 20th-century sea-level observations. Developing a way to fingerprint modern sea-level records involved drawing on data analysis and statistical techniques common in other fields such as engineering, economics and meteorology. We brought together these techniques and applied them, for the first time, to the field of sea-level research. Essentially, our method extracts global information from the limited local observations. Once we began applying our statistical approach to tide-gauge records, we realized that we could add all of our estimated individual contributions to produce a record of global mean sea-level change over time. We assumed that our estimate would agree with the previously published results, but what we found was actually quite different. The results of our analysis show that the previous estimate for 1901-1990 was too high. We estimate a 1901-1990 “sea-level rise” rate of 1.2 millimeters per year, down from 1.5 millimeters per year. In fact, our lower estimate agrees with the “bottom-up” approach presented in the IPCC. It closes “the sea-level budget” gap by eliminating the discrepancy between the two different types of measurements. While this may initially appear to be a positive result – that the rise in sea levels was slower last century – it isn’t necessarily. When we look at sea-level rise in the last few decades, we find that our 1993-2010 rate of 3 millimeters per year agrees with previously published results. Using our model, this means that the rate of global sea-level rise has increased not by a factor of two (three divided 1.5 millimeters per year) but rather by a factor of 2.5 (three divided by 1.2 millimeters per year). That implies that the rate of global sea-level rise is 25% higher in recent decades – a substantial increase. And this revision may affect projections of future sea-level rise.